Scholars still want to know what happened to the lost colony. Illustration via Library of Congress map. Among England’s three early Colonial settlements, Roanoke, off the coast of North Carolina, is perhaps the most intriguing. Location: Roanoke Island. The Outer Banks of North Carolina. Initial population: 117 colonists (sometimes listed as 120). Background: Sir Walter Raleigh (1552 or 1554 -1618), adventurer and friend of Queen Elizabeth I, had traveled to American in 1578 with explorer Sir Humphrey Gilbert. After returning, he recruited colonists to settle near Roanoke Island. Raleigh called the land Virginia after the monarch, who had been known as the virgin queen. (The land is present-day North Carolina.) Raleigh funded and authorized these settlement attempts, notes the North Carolina History Project website, but he did not personally lead the expeditions. Early attempts: The first two ships sailed from England and landed on the North Carolina coast July 13, 1584. It doesn’t sound as though they were well-prepared. They “unsuccessfully tried to establish good rapport with the Indians, and lacked proper provisions for permanent settlement,” recounts the North Carolina History Project. A second Colony, established as a military post, was set up in 1585. Again, there was a supply problem. The Colony was abandoned. The third landing, in July 1587, is the one still researched today. The settlers: John White led the group. His plan was to make the Colony sufficient via agriculture, while coexisting with the Native Americans. There were financial goals as well: “Their purpose had been to harass Spanish shipping, mine for gold and silver, and discover a passage to the Pacific Ocean,” recounts Encyclopedia Virginia. The group reached Roanoke Island in July 1587. White had his wife and daughter, Eleanor Dare, along with her husband, Ananias Dare. Eleanor Dare gave birth to the first English child born on American soil, Virginia Dare. How it went: Realizing that more supplies were needed, the colonists decided White should return to England. He left in August 1587 and reached England in November. But because of an impending war with Spain, White didn’t return to the Colony until Aug. 15, 1590. There was more bad luck to come. Stormy weather made it impossible for White and the others to find Croatoan. They were unable to locate the colonists. End note: Historians and archeologists continue to explore the fate of the lost colony. A group of scholars have combed the earth for evidence (broken pottery) that some settlers were living in an area near Merry Hill, North Carolina. What's in a name: Jamestown was named for King James I of England. Background: These settlers also had an eye toward profit. In 1606, King James I -- who succeeded Queen Elizabeth, “granted a charter to a group of London entrepreneurs, the Virginia Company, to establish an English settlement in the Chesapeake region of North America,” recounts the website for Historic Jamestown. The company wanted the 104 colonists to settle, find gold and a water route to the Pacific. They took three ships, the Susan Constant, the Godspeed and the Discovery. The settlers -- all men-- arrived on May 14, 1607. Within days, the Powhatan Indians attacked. Famously, Capt. John Smith (1580-1631) thought he was going to be executed by Native Americans but was saved by a woman, Pocahontas. The settlers: At times, the settlers traded with Native Americans for food, but they were also plagued by famine and disease. Only 38 survived the first nine months. Women were among the 70 newcomers to arrive in Jamestown in 1608, according to a timeline on the Historic Jamestown website. More settlers helped bring stability to the Colony but didn’t achieve the purpose of finding gold. Smith, known for his tough leadership, made enemies and was injured in a gunpowder explosion. He went back to England in 1609. Scholars now believe that during that winter, starving settlers resorted to cannibalism, dining upon the body of a deceased teenage girl. How it turned out: Despite relentless hardships -- 80 to 90 percent of the settlers were dead by 1610 -- the settlement had staying power. The first representative legislative assembly in North America met at Jamestown in 1619. There is also a shameful distinction: The same year as the legislative assembly, the first slaves in the American Colonies were brought to Jamestown by Dutch traders. Jamestown also was the setting of Bacon’s rebellion in 1676. What's in a name: Plymouth is a borough of southwest England on Plymouth Sound. The word means mouth of the Plym River, according to The American Heritage Dictionary. The colony had previously been surveyed by Capt. John Smith of Jamestown, credited with initially exploring the area and naming it Plymouth. They wanted to go, but didn’t have the money to fund the voyage. A group of shareholders known as The Plymouth Company helped fund the Pilgrims. With 102 passengers, the Mayflower departed for America on Sept. 6, 1620. During the trip, the Mayflower was blown off course and landed north of where the Pilgrims had permission to settle. In need of an governing document, they wrote the Mayflower Compact, which called for self-government. Then, after a month of searching, they decided to make Plymouth home. The merchant adventurers were unhappy, and the Pilgrims eventually bought most of them out. How it turned out: Half of the Mayflower’s passengers either died during the voyage or the first winter. But Plymouth was a permanent settlement. In 1691 it became part of the royal province of Massachusetts. By that time, Plymouth Colony had between 7,000 and 7,500 inhabitants, according to Scholastic.com. Crispus Atticus Museum.org: First American slaves. Encyclopedia Britannica: Capt. John Smith. 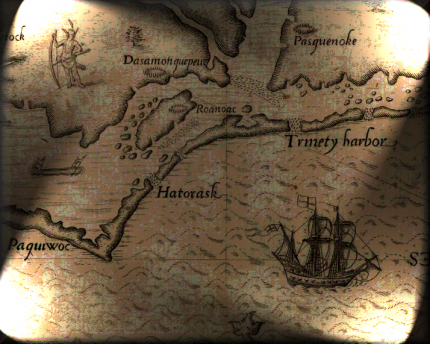 Encyclopedia Britannica: The Lost Colony of Roanoke. Encyclopedia Britannica: Sir Walter Raleigh. Encyclopedia of North Carolina: Croatoan Indians. National Park Service: First Legislative Assembly. National Park Service: The Indispensable Role of Women. National Park Service: The John White Colony. National Park Service: The Pilgrims. North Carolina History Project: Roanoke Island, by Richard Carney. Outer Banks of North Carolina: The Lost Colony of Roanoke. Pilgrim Hall Museum: The Pilgrims & Fur Trade. Scholastic.com: About the Plymouth Colony. Smithsonian Magazine: Starving Settlers in Jamestown Colony resorted to cannibalism, by Joseph Stromberg, April 30, 2013. If you would like to comment, give us a shout, or like us on Facebook and tell us what you think.